Tourism has been one of the sectors, which Nigeria banked and hoped on for rapid growth and quick germination into a full-scale economic activity and pride before it clocked 50 years. As early as 1472 Nigeria has been experiencing influx of people from various countries of the world who came for one expedition or the other. For instance, the sign was vivid as recorded that year when the first foreign vessel that ever landed on Nigeria’s shore was a Portuguese merchant ship with trade-tourism mission. It gave hope that Nigeria would soon become one of the most sought after tourism destinations in the world but the colonial masters did not show any move at deliberate development of tourism sites except some games and forest reserves, no tourism sites was developed by them. 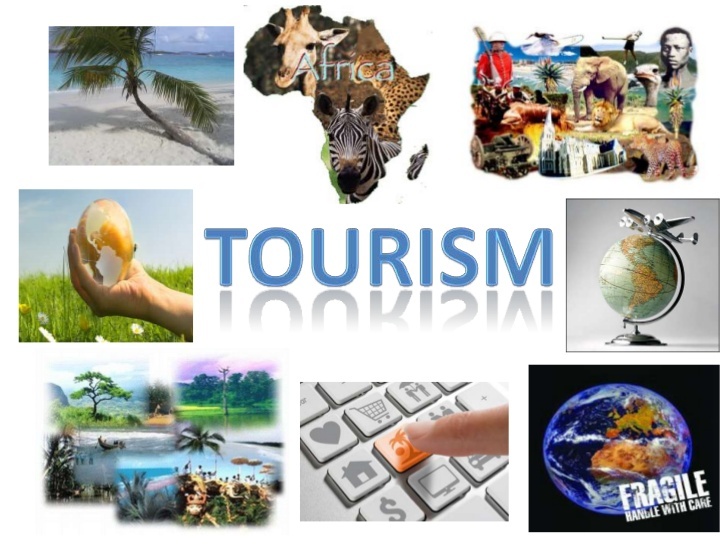 However, two years after Nigeria’s independence, some Nigerians who had seen the unbundled tourism potentialities of the country and interested in its promotion and marketing, formed the first tourism club in Nigeria, the Nigeria Tourists Association (NTA). The Association was led by the late Ignatius Atigbi, one of the well-travelled and highly exposed Nigerians who has seen what tourism has contributed to other countries. However, the Association, which saw the gold in the tourism sector right from independence, took its enthusiasm to international conference of International Union of Official Tourism Organisation (IUOTO), the then world Travel Organisation in 1963 where Atigbi, shook the world and moved a motion, calling for the consecration of a day as World Tourism Day. After Nigeria received a round of applause and global commendation at the conference, IUOTO, consecrated September 27 as the World Tourism Day. The international honour and pride, which this like-minds association cultivated for Nigeria, impressed the government of the day which offered hands of support and cooperation with the Association. The Federal Government too, recognised the awesome tourism potentialities in the country and having realised the passion of the members of NTA, made available a grant-in-aid to the Association, which it used to register as a member of IUOTO. Thus, in 1964, when NTA registered with IUOTO, which metamorphosed into World Travel Organisation, the public expected the Association to hit the ground running. But nay, that was where the crusade stopped. NTA went into comatose and killed the enthusiasm of Nigerians towards tourism. However, in 1971, the Federal Government commissioned the Nigeria Development Bank (ADB), to do a feasibility report on Nigeria tourism potentialities. The report showed that Nigeria is blessed with awesome tourism sites and hospitable people, but needed institutional and legal framework for it to blossom. This led to the replacement of the NTA, a private voluntary association of interested Nigerians, with a government public board established by Decree No. 54 of 1976, and which is known as the Nigerian Tourism Board (NTB) Decree. The decree, however, did not come until 1978. This Decree of 1976 empowered the NTB to among other things encourage people living in Nigeria to take their holidays therein and people from abroad to visit Nigeria and also encourage the provision and improvement of tourist amenities and facilities in Nigeria, including ancillary facilities. The decree also encouraged NTB to provide advisory and information services, promote and undertake research in the field of tourism, grade or classify hotels in such a manner as may be prescribed. The military government, which ruled Nigeria then, set the tone for the shape of tourism by inaugurating the Nigerian Tourist Board in 1976, with a decree to back it up under General Olusegun Obasanjo as the Head of State. Years later, bureaucracy and office politics crept into the running of NTB, leading to the exit of the brains behind NTA from the board and the civil servants took over. This seemed to be the undoing of a once proactive and internationally respected Association, which had earned it honour and respect. Thus, the once internationally proactive Association became complacent, redundant and went into coma. Under Generals Ibrahim Babangida, late Sani Abacha and Abdulsalami Abubakar, the NTB was changed to the Nigeria Tourism Development Corporation (NTDC), with a larger scope of not only promoting, but also developing tourism sites in Nigeria. Also, some tourism friendly activities were injected into the system such as the formation of the National Tourism policy, which stipulates that each state must create Ministry of Tourism and Culture. Several moves and processes were initiated to ensure that the nation has its own tourism master plan, a policy implementation document necessary for a nation that genuinely desired the best in tourism. Under the military, there was another lull as the military officers in power then paid lip service to tourism. However, sign of good things to come started rolling out when Chief Alabi Aiyegboyin, assumed the leadership of NTDC. Though, a civil servant to the core and a permanent secretary then at the Planning Commission before his deployment to NTDC, Aiyegboyin stooped low, learnt from members of the private sector and for the first time, piloted the Corporation in co-hosting of the first Nigeria Trade and Tourism Fair that took place in Kaduna. The retirement of Aiyegboyin also led to the retirement of the sparks of success recorded at the tourism front in the country. This was so because, the NTDC is a pivot of tourism in Nigeria and the pace at which it speeds depends on the vision and influence of whoever tends the Corporation. So for many years the Nigeria tourism progress de-accelerated. However, the second coming of Obasanjo as a civilian president turned a light of hope into the tourism sector’s tunnel. The first thing he did was the creation of a new full-fledged Ministry of Culture and Tourism with about 11 parastatals. These parastatals are supposed to helm in, enhance the various units of tourism in the country, and align it with the national vision. Also, Obasanjo inaugurated the Presidential Council on Tourism, a body formed with the intention of servicing the need of the tourism sector with presidential dispatch. The Council was made up of ministers of finance and other ministers whose ministries are directly linked and essential to tourism, some state governors whose states are paragon of tourism assets and who are interested in developing these as well as the representatives of the tourism private sector associations.